“Are You Dressing for Your Hair Color?” originally appeared on StyleBistro. Read the story at stylebistro.com. 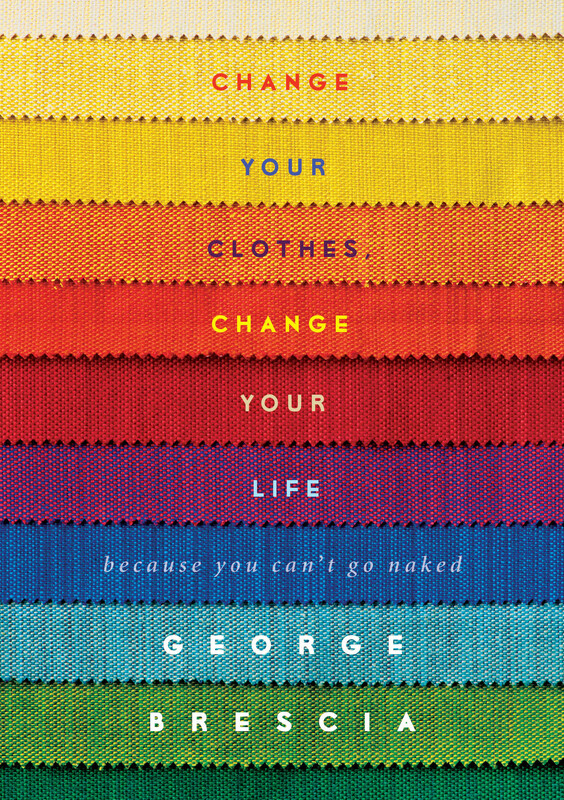 In his new book, Change Your Clothes, Change Your Life, stylist and image consultant George Brescia discusses how clothes can dramatically impact not only how we feel about ourselves, but also how others perceive us—thus impacting the course of our daily lives. While it’s all fascinating food for thought, we were most intrigued by the idea of dressing around our hair color, perhaps because it’s something we hadn’t really given much thought to before. But Brescia raises an excellent point: “Would you throw on a bright yellow hat without thinking about whether it clashed with the rest of your outfit? Well, that hat is your hair—and it’s a hat you wear every day.” In a chapter devoted to the power of color, he breaks down the ideal palettes for four different hair hues: honey, caviar, copper and silver. Read on to see what advice he has for your tress tone. While black tends to be every woman’s fail-safe color, Brescia advises against it for blondes, since its stark contrast against lighter complexions tends to be too harsh and often washes them out. Instead, he recommends wearing navy as a close substitute. “It acts as a black without being a black, creating a subdued palette that is one important degree warmer,” he explains. For much the same reason, blondes should avoid bold, graphic patterns that have a tendency to overwhelm them. “Because the contrast between your hair and skin is naturally low, a very strong pattern can create an imbalance that causes your features to recede,” explains Brescia. Brescia’s favorite color for blondes is camel, which he says will be responsible for “bringing out the highlights in your hair and creating the kind of harmonious picture that puts you at center stage.” He also recommends shades of blue, green, peach and other earth tones. Brescia calls beige “Washout City” for brunettes because it can too easily blend in with your skin tone. Instead, he suggests relying on gray, black and stark white as your go-to neutrals. “They play off the natural contrasts in your palette, popping your dark hair and letting your features shine through,” he explains. Although hair color plays a big part in how everyone gets dressed, this is especially true for redheads. “Unlike blondes and brunettes, their hair will never read as a neutral, and so it always needs to be taken into consideration,” explains Brescia. As such, they need to operate within a highly-defined palette of chocolate browns, corals, peachy oranges, blue-greens, camels and creams in order to best complement their standout strands. Just like blondes, redheads should replace their stark black threads for ones in a more flattering navy. “In addition to warming up her skin, blue has the advantage of being a near complementary hue to red on the color wheel, which is why it looks so great next to her hair,” says Brescia. Perhaps the most flattering color of all for redheads is green, which Brescia recommends wearing whenever you want to be noticed. “[They are] hues that lie on opposite ends of the spectrum and thus present the strongest possible contrast when juxtaposed,” he notes. “The best colors for gray hair are muted,” says Brescia. “It must be toned down in order to match the diminished intensity of the hair follicle.” He recommends sticking to slate blue, gray, silver, sea-foam green, lavender and taupe in order to not overpower such light locks. This rule of thumb also applies to platinum and dirty blondes. “As opposed to the classic blonde’s golden yellow strands, true platinum is defined by an absence of color, reading almost as white,” he explains. The one exception to the aforementioned rule is red. “It is such a pure color and one that happens to look fantastic with gray,” says Brescia, who also recommends white for a crisp contrast. I was auburn for most of my life and as that looked quite marmalade as the grey grew in I went various shades of blonde – I am ash blonde now rather than silver and I must say for the first time in my life and I am comfortable wearing scarlet which I always thought clashed with my then colour… but I have too much black and will certainly try some blue now.. interesting thank you.